Prior to developing the plans for your custom home, you should first consider where you want to build it. Land selection is just as important as the blue prints for a home itself. As a matter of fact, the technical aspects of the land, such as the water table and contour of the land will play a significant role in determining the final plans of the house. For example, if town sewer is not available, the water table will control the look, size and location of your leach field, and the contour of the land will dictate the height of foundation walls. Besides the technical aspects of the building site, land selection should also involve important factors such as choice of community (rural verses urban), school districts, shopping areas, town utilities, highways and airport traffic, climate, and area topology (flood plains, or high and dry). The topology of the actual building site can play a major role in the cost of building a home. Items such as grading, fill, tree removal and drainage can be expensive costs depending on the actual conditions of the site. 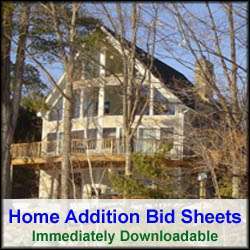 These costs need to be accounted for when developing the plans and budget for the new home construction. Title searches, a site survey, perk tests (if a leach field is required), and a review of the local zoning and building codes should be performed prior to purchasing the land to ensure there will be no issues when construction begins. For example, it is critical to know that the targeted property is zoned for single family residential homes and not commercial or industrial. Once all of these factors have been addressed and no major issues have been uncovered, the property can then be purchased and the home plans finalized.